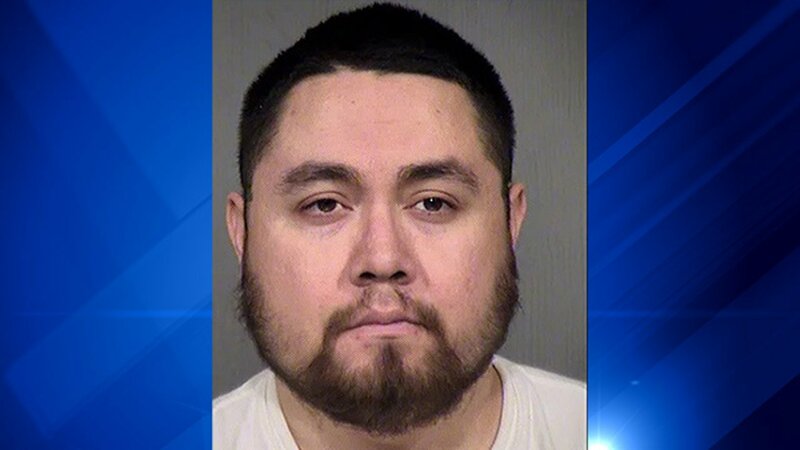 PHOENIX -- Police say the baby boy whose father is accused of bending him in half to silence his crying has died. Police arrested Robert Anthony Resendiz, 30, on Tuesday, Dec. 19 after his 6-month-old son was taken to Phoenix Children's Hospital with injuries doctors deemed "not survivable." According to his court paperwork, Resendiz called 911 at 12:45 p.m. and told the dispatcher he had just woken up to find his baby son "unresponsive and not breathing." "Upon examination, doctors observed the victim had a grade 4 liver laceration, a left lateral wrist fracture, a laceration of the pancreas, and pattern bruising to the right thigh," the probable cause for arrest statement reads. Resendiz told police he had put the baby to bed on the sofa between 10 p.m. and 11 p.m. Monday and then claimed he did not wake up until just before calling 911 more than 12 hours later. The baby's mom told police her son was "awake and alert" when she left for work Tuesday morning. She said she started texting Resendiz at about 9:45 a.m. "to ensure he was properly caring for their son." She said she received a reply that the baby was fine at about 11:45 a.m., followed an hour later by another text saying the child was not breathing. Police interviewed Resendiz again after administering the Miranda warnings and said he "admitted to pressing the infant's legs over his head and bending his body in order to stop the victim from crying. Robert stated he used approximately 65 (percent) of his strength to place pressure on the victim and did not release pressure until the victim had stopped moving and was limp." "Robert also stated he had bit the infant two times on the body out of frustration," the probable cause statement continues. Police said Tuesday that the baby died Thursday, Dec. 21. Resendiz was initially booked on suspicion of felony child abuse, but the charges will likely change now that the baby has died. At his initial court appearance, the judge set a secured appearance bond of $250,000. Frustration was also cited in an unrelated case of child abuse that also turned deadly earlier this month. In that case, a man "held his hand over the victim's mouth when she was screaming during her diaper change," according to police. "The defendant stated he had to use force to hold the victim to change her diaper .... The defendant stated he did not mean to cause the injuries but was frustrated."